A solidarity demonstration with Palestine in Dublin, 2017. Credit: IPSC / Facebook. These words were spoken by Razan Al-Najjar, a 21-year-old Palestinian medical student and paramedic volunteering on the front line of the Great March of Return in Gaza. They would be some of the last words she ever uttered; on Friday June 1st she was murdered, shot in the chest by an Israeli occupation sniper while tending to a wounded protester. Her young life, full of hope and defiance, cut down mercilessly – the latest victim of Israel’s seven decades of oppression of the Palestinian people. Razan is just one of the more than 120 unarmed Palestinian protesters shot dead in the Gaza Strip over the past ten weeks. 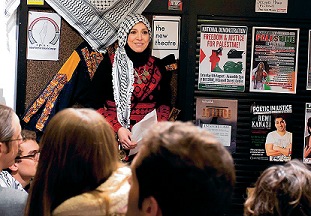 She joins the pantheon of martyrs, approaching 10,000 since the outbreak of the second intifada in September 2000. The protests, dubbed the ‘Great March of Return’ by the grassroots civil society coalition that has organised them, have seen families camp out near the militarised border between Gaza and Israel. There have been weekly protests as Palestinian refugees, forcibly exiled for seventy years, attempt to exercise a fundamental and inalienable right: the right to return to their homeland. Routinely referred to in the Western media as ‘clashes’, the protests usually involve heavily-armed Israeli snipers firing into crowds of mostly unarmed young Palestinians. Those Palestinians that are ‘armed’ are those who dare to hurl rocks and stones at armoured troops, relying only on the smoke from burning tyres to veil themselves from the snipers. That only a single Israeli soldier has been slightly injured, while over 13,000 Palestinians have been wounded, gives an idea of the balance of forces in these ‘clashes’. 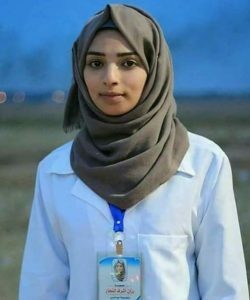 21 year old paramedic Razan Al-Najjar was killed by Israeli snipers on 1 June. An indication of the scale of Israel’s repression can be found in the fact that over 3,500 people have been wounded by live fire alone. Israeli troops are firing directly into crowds of people. By way of comparison, Bloody Sunday in Derry saw 14 people killed while 28 were injured by bullets. The Sharpeville Massacre in Apartheid South Africa saw 69 killed and 289 suffering gunshot wounds. Israel, correctly from its point of view, hates and fears these protests precisely because they highlight the colonial and apartheid nature of that state. Israel’s violent repression reminds us that that state is built upon the continual mass murder and exclusion of the indigenous Palestinians. As Israel and its allies celebrated the 70th Anniversary of the founding of the state – a feat that required the forcible expulsion of two thirds of the Palestinian population – not 50 miles down the road Israel’s forces were busy killing 52 people in Gaza to ensure Palestinians’ continued exile. The response of the international community, including Ireland, to the gunning down of pro-democracy protesters has been characteristically weak. Mealy-mouthed condemnation and crocodile tears, but no action to hold Israel to account for these – or any other – violations have been the order of the day. The Trump regime even chose this as the time to move its embassy to Jerusalem, in contravention of international law, numerous UN resolutions, and its own longstanding policies. The US has also used its veto on the Security Council to block two attempts at UN criticism of Israel’s repressive policies. This shameful and dangerous inaction means it’s more important than ever that we internationals listen to the voices from Palestinian civil society crying out for liberation; voices like the organisers of the Great March of Return that cut across factional divisions; voices like the leadership of the Boycott, Divestment and Sanctions (BDS) movement, which have mapped out a strategy for internationals to show practical and effective support and solidarity for Palestinians. 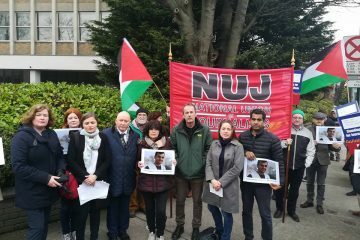 One of the calls that has emerged from Gaza is for solidarity protests to take place, and the Ireland-Palestine Solidarity Campaign (IPSC) and our colleagues in groups like Academics for Palestine, Trade Union Friends of Palestine, Gaza Action Ireland and Students for Justice in Palestine have answered this call, organising many protests around Ireland over the past two months. 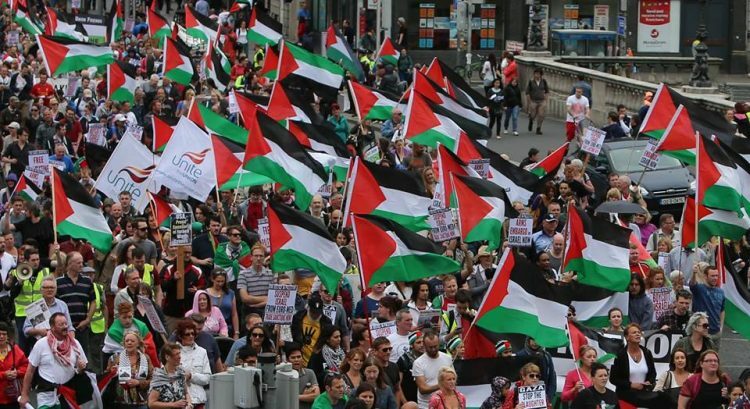 Today, June 5th, we answer the call once again in Dublin to mark the 51st anniversary of Israel’s occupation and illegal colonisation of the West Bank and Gaza. We will be gathering at 6pm at the Spire on O’Connell Street, joining our colleagues in London and Paris. 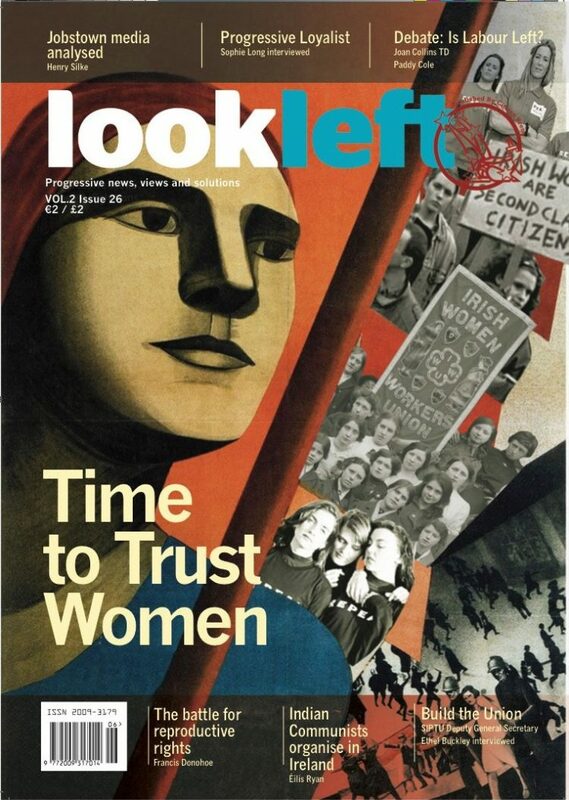 In Belfast, Limerick and Celbridge other actions will be taking place. We ask you to listen to the calls from Palestine and, for Razan the young paramedic and all the other Razans who have been shot down as they protest for their rights, we ask you join us to show your solidarity as Palestinians continue their heroic struggle for equality, justice and freedom from Israeli apartheid. 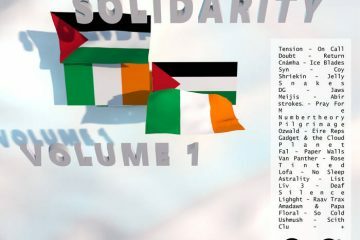 Kevin Squires is National Coordinator of the Ireland-Palestine Solidarity Campaign. To find out more about their work and for a list of upcoming events and actions see www.ipsc.ie.